In the midst of organizing your life, let alone your bedroom or kitchen, being an organized blogger is probably the last thing on your mind. However, a few tweaks in your blogging routine may yield better results. Also, once you are in the flow of things, productivity seems almost effortless. 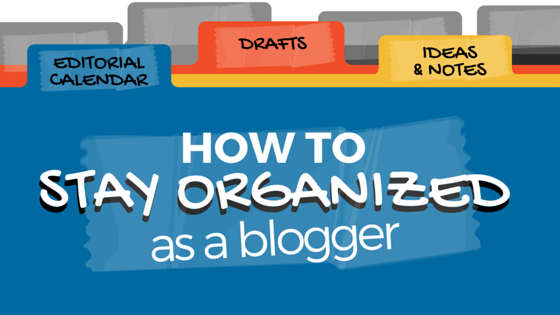 So, how can you be an organized blogger? Whether it’s in a café or inside your own home, designate a consistent work area. Think about where you produced your greatest blog posts and stick to writing there on a regular basis. If where you blog is inside your house, renovate that space so it optimizes your productivity. We tend to get too comfortable inside our own homes, so simulate an office-like environment. For example, face your desk away from all distractions (e.g., the television) and place it by a window or in well-lit area. Also, keep your workspace free of clutter for a peace of mind. 2. Set up a Google Account. Gmail: Create a separate email account just for blogging purposes. This will separate any blog-related emails from the clutter of your personal life. Google+: The more social networks you are a part of, the more places you can promote your blog. For me, the demographic of mommy bloggers on Google+ is huge so it works in my favor for my niche. Google Calendar: I’m a huge fan of Google Calendar because it’s so versatile. The calendar can sync from your computer to your phone. In other words, you can edit your calendar wherever you can access a Web browser, and it will automatically update your phone’s calendar. 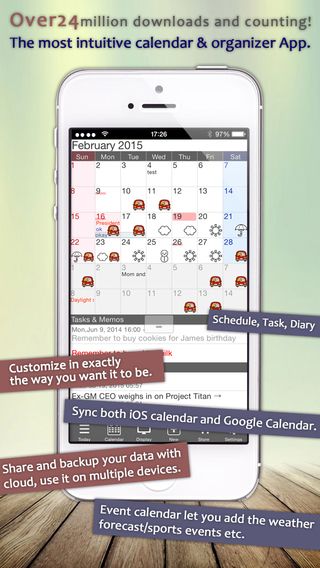 Most calendar apps also allow users to import their Google Calendars as well. Furthermore, certain emails I receive and websites allow me to import events straight into my calendar through the click of the link – and inputs all the relevant information (event name, time, place, etc.). Google Docs: Google Docs is a great way to stay organized. You can edit text documents and spreadsheets for your own purposes – perhaps to log your blog revenue, expenses, blog ideas, etc. Furthermore, if you have a team of bloggers, Google Docs is the way to keep your team on the same page (pun intended). When I used to freelance for a news publication, all the contributing editors would pick potential news topics off a Google Document, placing our names next to the topics we wanted. In addition, there is also a Google Docs app that allows you to edit these documents straight from your phone. 3. Fill in your blog calendar. First and foremost, think about when you are most productive (which day and what time of the day). From there, fill in your blog calendar. Although they say to post every day, for some people this is unrealistic. For beginners, fill in around 2-3 blog post topics a week. Aside from blog topics and the frequency of posts, there are other things to consider when filling in your blog calendar. You must think about how to allot your time when: editing your posts, finding graphics, editing graphics, taking breaks, promoting your blog posts, checking and responding to emails, analyzing Web statistics, etc. 4. Keep your blog calendar in sight. Out of sight, out of mind – so keep your blog calendar in sight! Anytime you have a break in the day to think, think about your blog. On my Android phone, I used to keep a monthly view of my calendar right on my wallpaper through a widget. Now that I have an iPhone, I do not have that capability. However, I do keep my calendar shortcut right at the bottom of my screen. My favorite calendar app is Jorte. I like Jorte because of how the calendar looks visually. I keep my calendar on a monthly view (I hate weekly/day views) with the text of my headers visible on each day. I basically prefer seeing a large overview of my calendar. You can also add animated icons on special days. 5. Take advantage of “read later” options. Have you ever come across an article on the Web or Twitter, only to realize you don’t have the time to read it at the moment? And when you do have the time to read it, you’ve already forgotten about it. Well, luckily there an app where you can store articles you come across in one place so you can read them later. The app is called Pocket, and it allows one to save articles from the Web, desktop, or even Twitter – yes, Twitter! I come across interesting articles often on Twitter – especially during work hours when I don’t really have the time to read them. When I’m commuting on the train or waiting around for a friend, that’s when I’ll open my Pocket app and read these articles. Don’t just read articles, take notes. Write down your feelings. I feel like the best blog post ideas start by simply writing – writing down anything actually. Personally, when I start writing, my ideas just flow from there. I even write keywords down, eventually forming an outline. My favorite app for this is Notability. This app even allows you to record voice notes while typing at the same time. Each sentence or phrase you type marks that part of the recording, so you can listen to specific parts of the recording by clicking on certain words you typed. You can also add images into your notes, sketches, etc. It’s helped me a lot during lectures in college, and continues to help me now as a blogger. 7. Keep your blog visually organized and consistent. Keep your blog organized visually. Keep your blog posts consistent in format – consistent fonts, headers, format, etc. If you don’t have a logo by now, create one and place it where needed. Also, if you post your own videos, try to keep a consistent intro containing your logo – this gives off a very professional look and feel. In your blog posts, break up long paragraphs if you can and insert more images. Use bullet points or numbers to make information easier on the eyes. Clean up those blog posts! 8. Categorize your blog posts. New bloggers often fail to categorize their blog posts. Categorizing blog posts makes navigation so much easier, especially when using platforms such as WordPress. It can also help you with your editorial calendar, e.g., spreading out different types of blog posts throughout the month and perhaps helping you come up with ideas based on your category. 9. Designate an area to store your log-in information. Nothing is more frustrating than wasting time trying to figure out your password, only to reset it and forget it again. Write down all your websites, log-in usernames and passwords. Keep it *safe* in one place to use as a reference. If you feel really insecure doing this, what I do is I slightly scramble the passwords (consistently, and to all of them), or I’ll codename the websites so if ever it falls into the wrong hands, they still can’t use the information to log in. 10. Take advantage of folders. Cleaning and organizing your computer can be as tedious and time-consuming as cleaning your own bedroom. 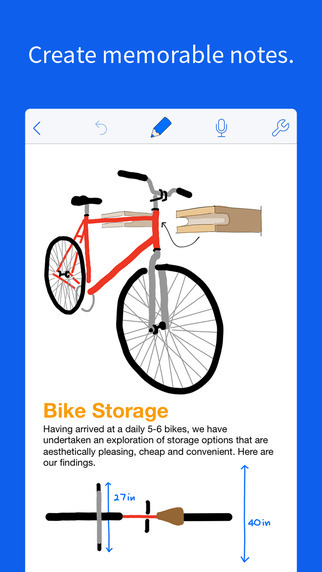 Store all your blog drafts, images and notes in labeled folders. I keep a folder with my blog name or idea on my desktop. Inside, I have sub-folders that contain the date and blog post name. For example, the folder on my desktop would have my blog name and a subfolder inside would say “2015_06_17 Blog Organization.” If you format your folder names like this, your computer will automatically keep these folders in chronological order. If you’re not a fan of organizing your folders by blog posts, you can also keep separate folders by type: all your images in one folder, drafts in another, notes in another, etc. 11. Take advantage of drafts. No one ever said you have to publish your posts right after you create them. Take advantage of your “draft” option when you blog. This way, you can take your time with your posts – really edit and perfect them. You can also work on blog posts at your leisure, or even keep a number of posts queued. Winter is coming up – a perfect time to increase productivity and improve your blogging routine.